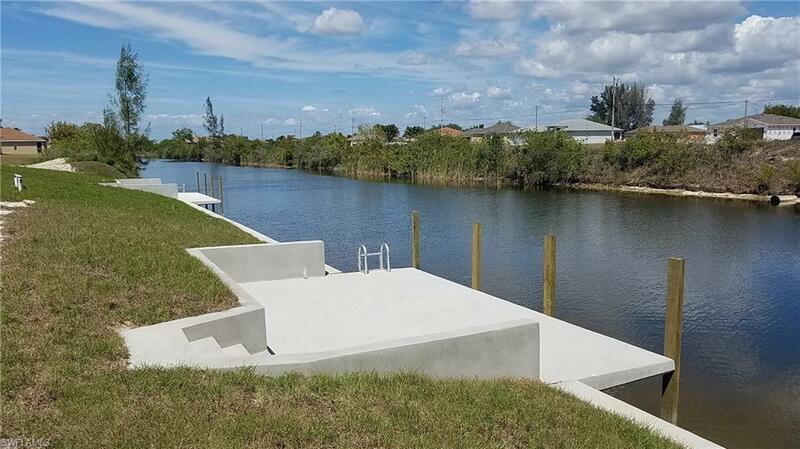 BUILDABLE FRESHWATER LOT WITH BRAND NEW SEAWALL & DOCK IN PLACE!! This lot is located in a great NW neighborhood next to a brand new house with many other new homes in the area. Enjoy your coffee watching the sunrise from your lanai overlooking the Loch Lomond canal which leads to your waterfront wonderland of many nearby freshwater lakes, perfect for kayaking/canoeing and/or fishing. Builders: Save money on fill with this cleared and partially filled pad. Well & septic services required here. The most recent Cape Coral proposed utilities expansion map does not have this lot scheduled for city water & sewer anytime in the near future.